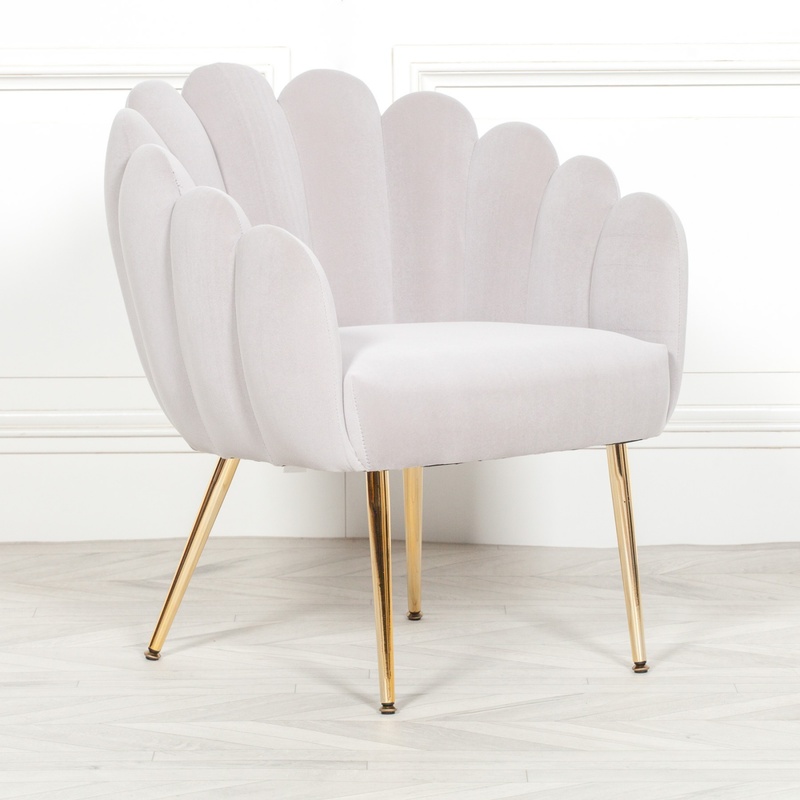 Aurora Grey Scalloped Arm Chair is presented by its charming curves and elegant silhouette. 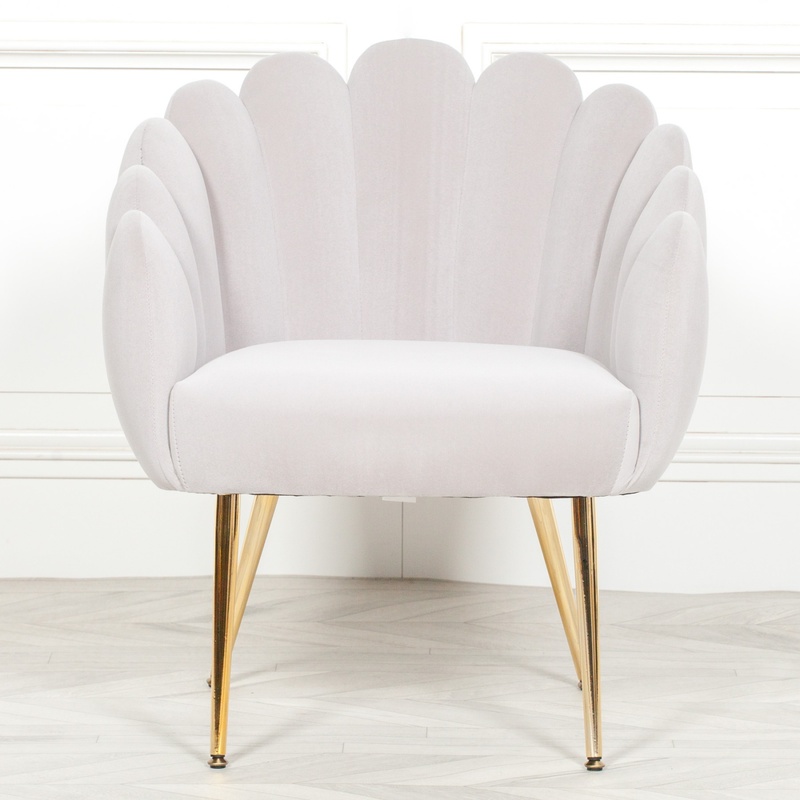 Deeply cushioned and lavishly sized, it’s a pleasant spot for dining and talk. 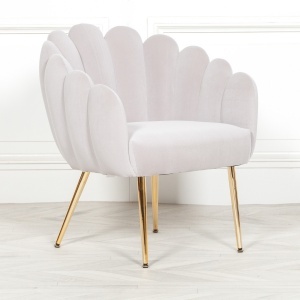 Can also be used as an ideal accent chair to add glam and grace to any modern interior. 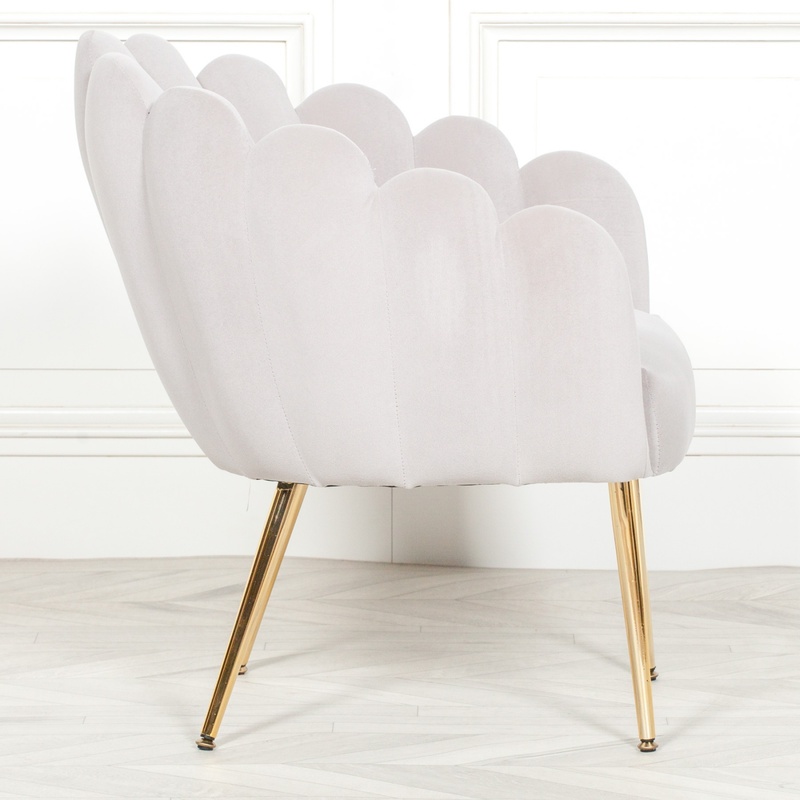 Light Grey Velvet, Gold Plated Legs. 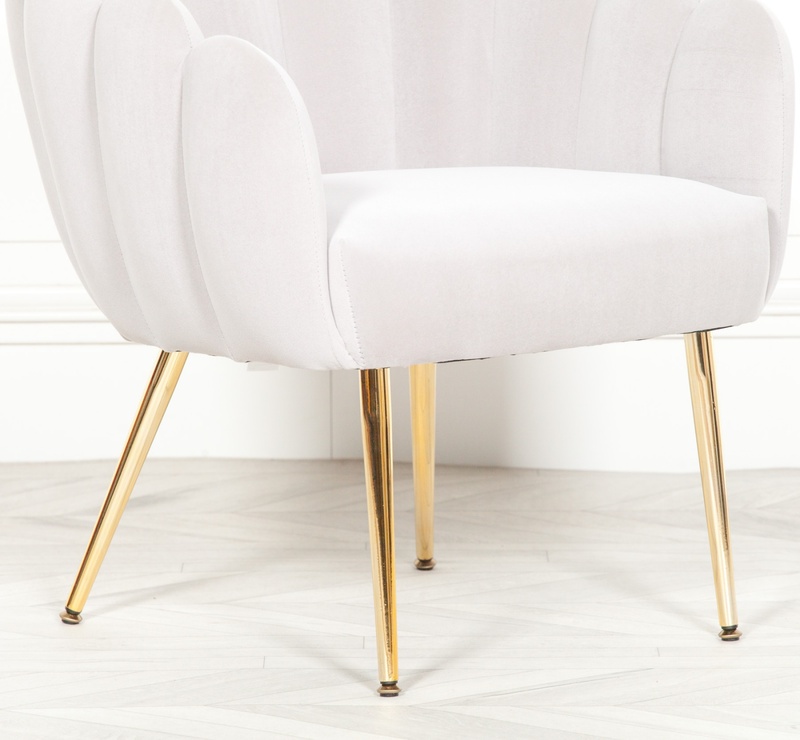 The gold plates legs may have small various marks in surface from manufacturing process.